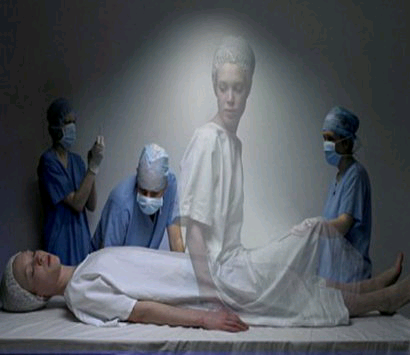 Floating in air, seeing bright light, a long white tunnel, being able to see yourself lying on a bed and meeting loved ones and family members who have passed away are a few near-death experiences we have heard and read about. These experiences are not a result of human imagination, but claims by those people who had actually witnessed death for a moment before they came back to life. In some near-death experiences, people have even visited hell, where they were tortured by demons until they came back to life. This is a story of 10 such people who after being declared as dead, came back to life after some time. When they came back from the dead, they described what death felt like and how they would never want to experience the same ever again. Find out more about them in the story. When Breedlove from Austin, Texas was four-years-old, he had a rare heart condition for which he was treated. After his treatment, Breedlove posted a series of videos on YouTube telling the world about his rare heart condition, they instantly went viral. In one of them, he told the story of his near-death experience. According to that story, Breedlove saw a bright, peaceful light near the ceiling and he couldn’t take his eyes off it. He also couldn’t help but smile. He had reached a place where he had no worries at all. It was the best feeling he ever had and never wanted to leave the place. However, one year later, he died of an heart attack. She was struck by lightning while driving her car one day in 1981. This is when she says she was transported to hell, where she found demons escorting her into a big waiting room. Thesedemons were terrifying than any horror movie and with her there were other people screaming in pain. She could not breathe there because that place was stinking. She also said that she saw a volcano lake where people were thrown as they screamed. Her story included snakes scattered everywhere. After this experience, she came back to life. How to Make a Free Energy Device? ?